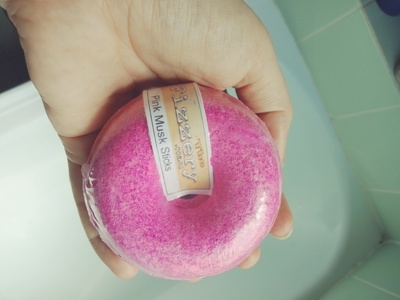 Some of The Fizzery's bath bombs are doughnut shaped instead of the usual spheres because hey, why not? The Pink Musk Sticks Donut smells precisely how you'd expect- a smell straight out of childhood. It also turned the bath the brightest shade of pink I've ever seen come out of a bath bomb. You'll need to clean the bath after using this one, but it's worth it. Are animal rights a feminist issue?